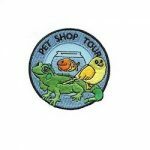 Help out our furry friends by running a food drive for pets. 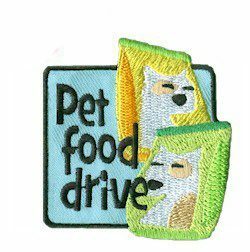 Donate the food to a shelter, an animal hospice, an animal adoption agency or anywhere locally that cares for homeless cats and dogs. Give your girls the pet food drive patch from MakingFriends®.com as a reward for their hard work. 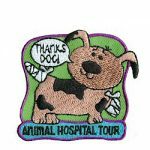 1 review for "Pet Food Drive Patch"
We absolutely loved these patches. 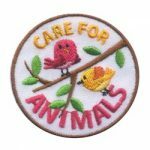 I’m a new Girl Scout leader and new to ordering patches. I looked all over for a patch like this and was so happy when I was able to find the perfect one.